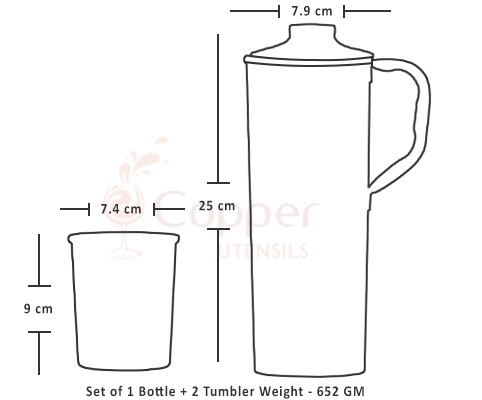 The set consists of a jug with lid and two matching glasses. 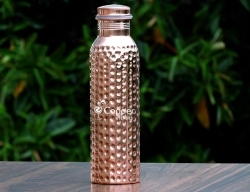 The intricate design on the outer wall adds to the appeal of the product. 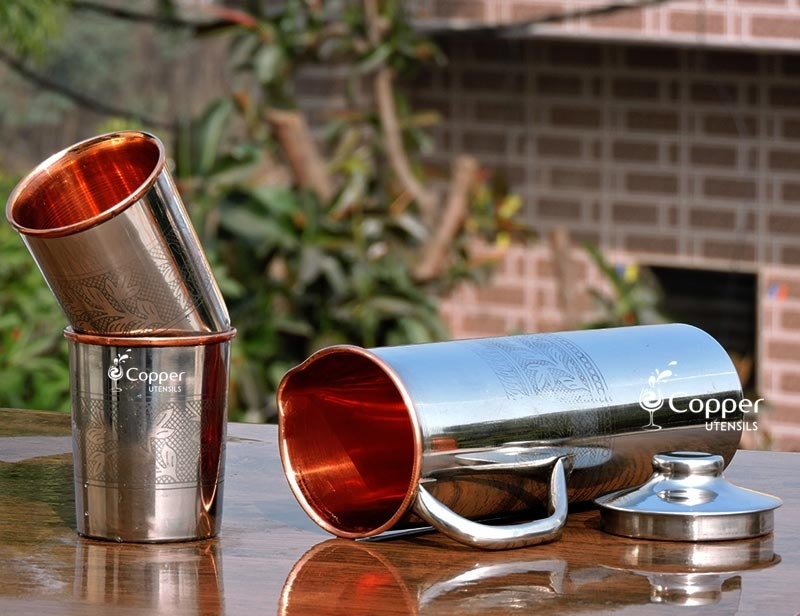 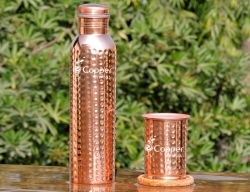 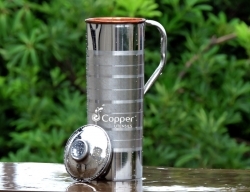 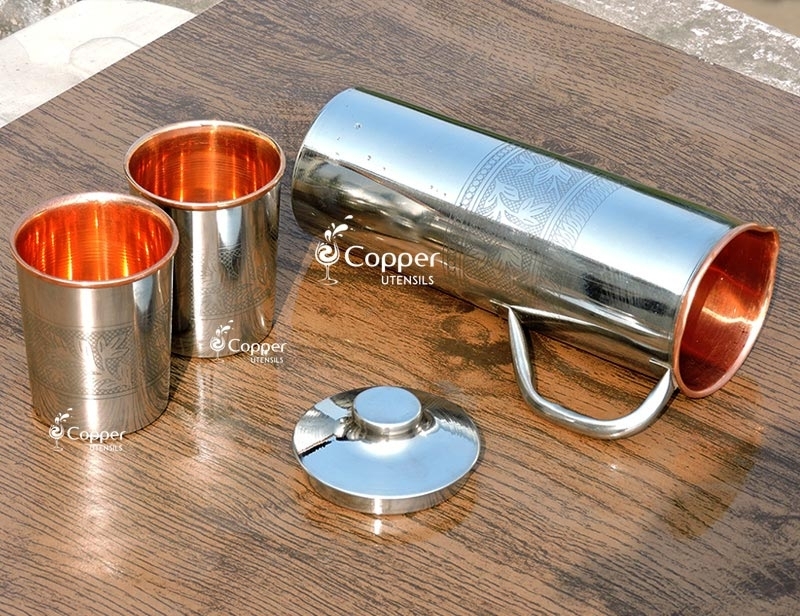 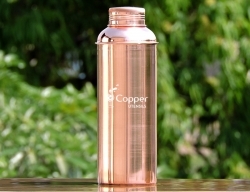 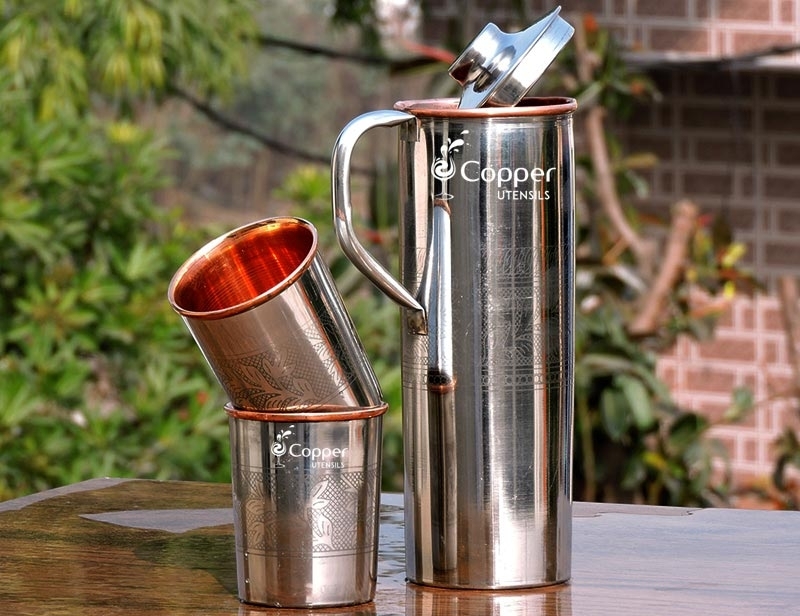 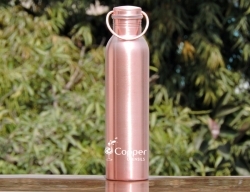 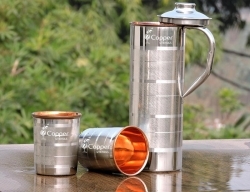 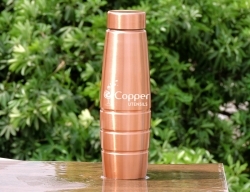 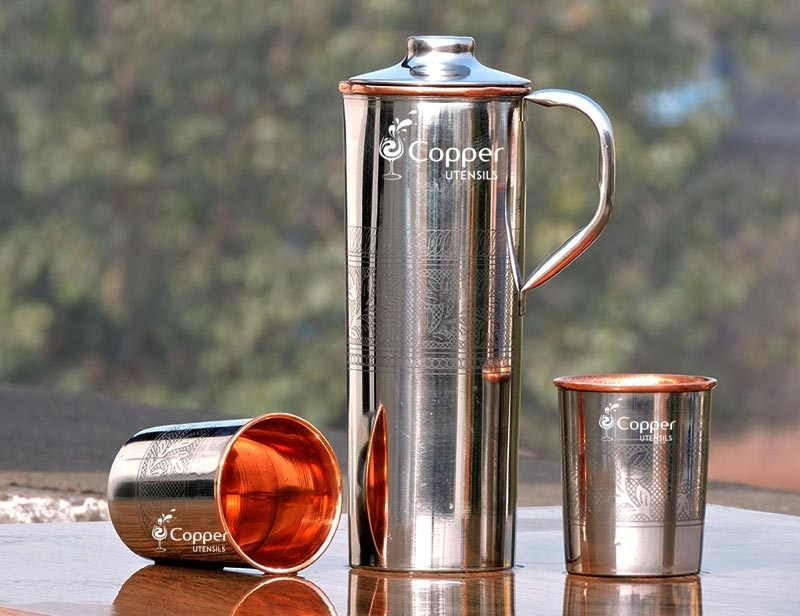 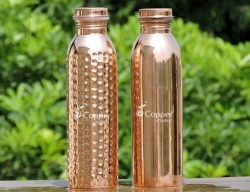 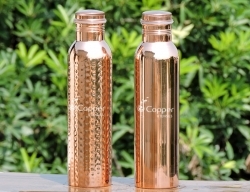 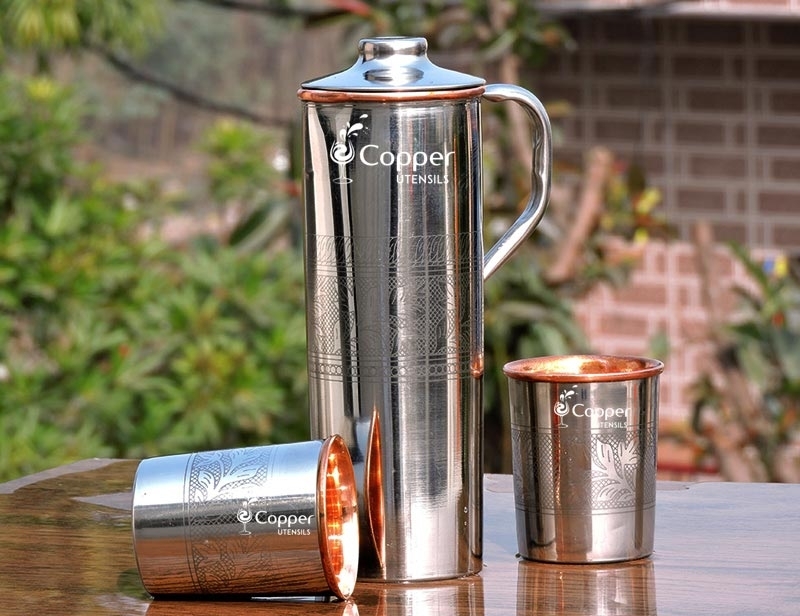 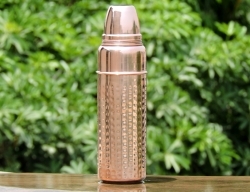 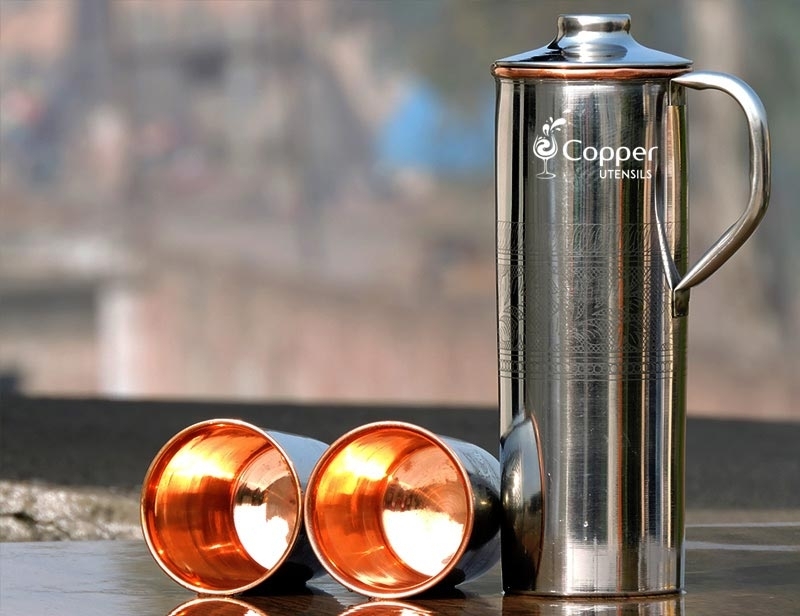 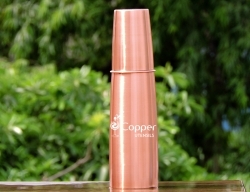 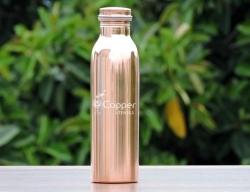 Perfect option for storing and drinking copper charged water. 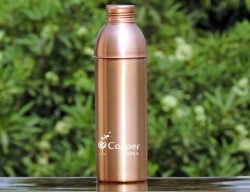 Are you someone who likes to combine utility and fashion together? 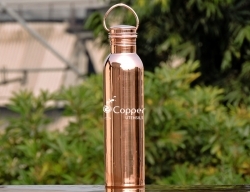 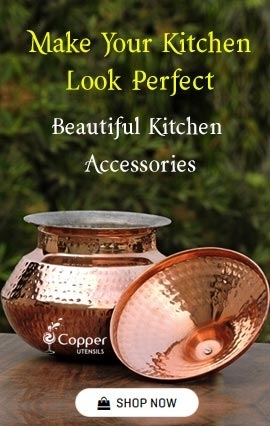 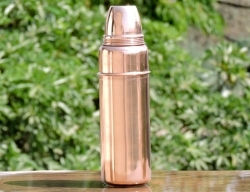 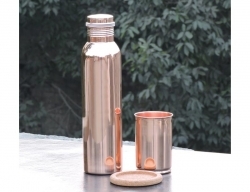 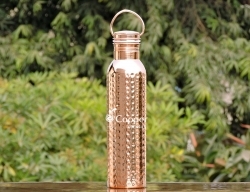 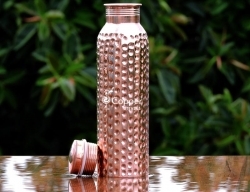 If yes, then this stylish copper fridge bottle is perfect for you. 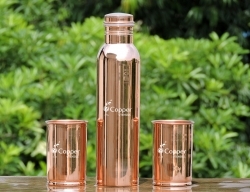 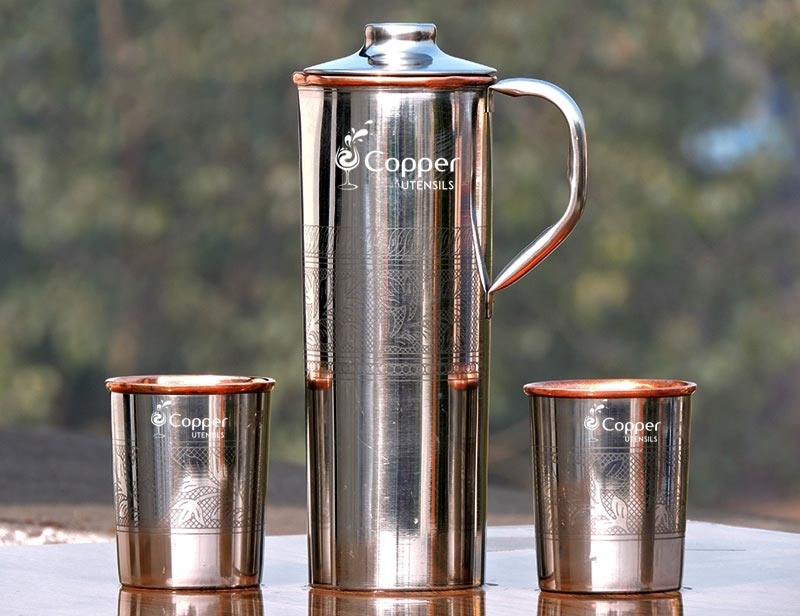 The ancient science, Ayurveda, suggests the use of copper treated water for its amazing health-related benefits. 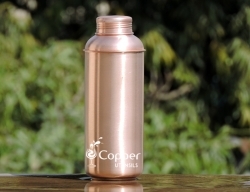 Storing water in a copper bottle overnight helps in killing all the germs and bacteria from the water reducing your chances of falling sick to water-borne diseases. 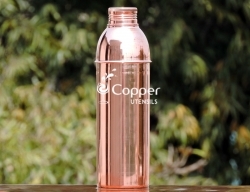 It is a proven fact that water, when stored in a copper utensil overnight, can kill almost all the bacteria and microbes present in it. 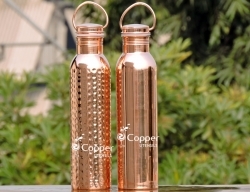 The only drawback that bothers a lot of people is the cleaning part of the copper utensil. 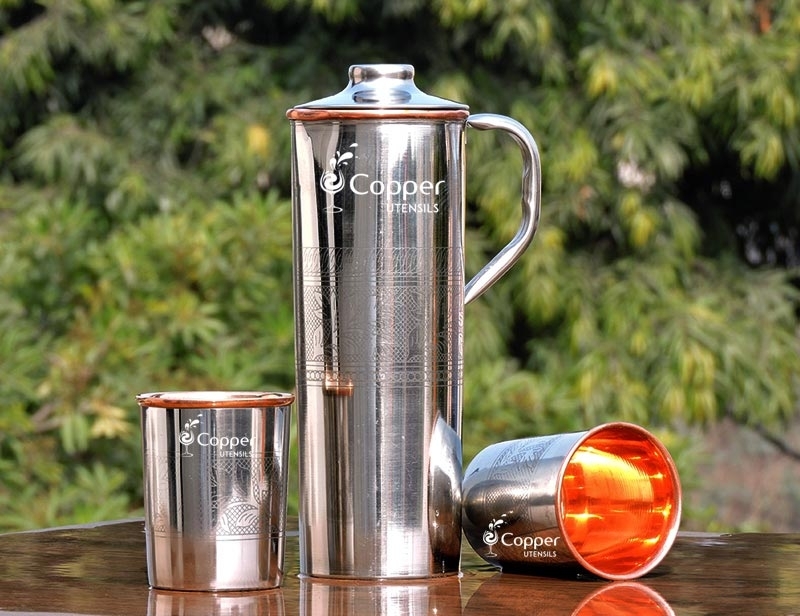 Well, we have made it easy for you by making the outer body with good quality stainless steel. 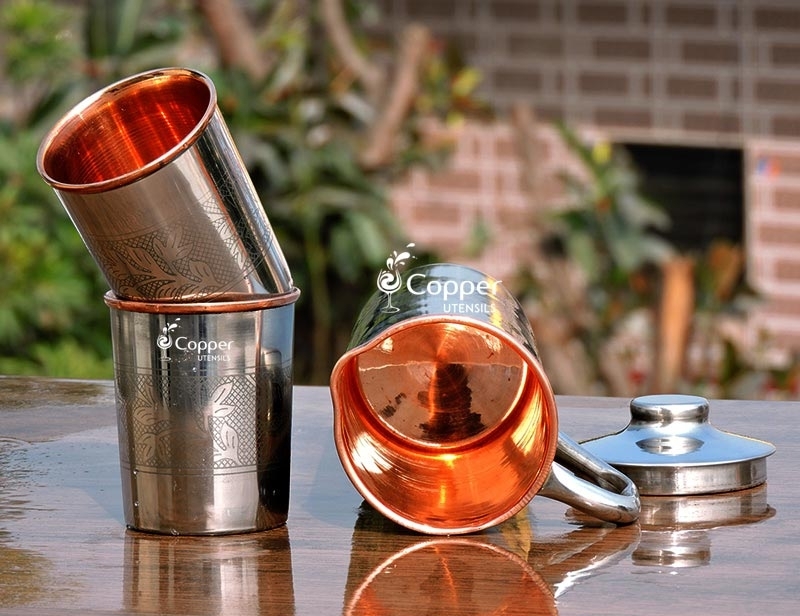 You can clean the outer body with a regular dishwashing detergent and for the copper interior, you can use a solution of lemon and salt. 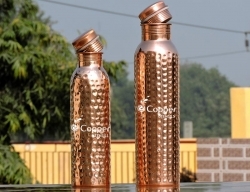 They are beautiful and work great for killing bacteria in the body!